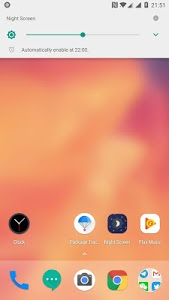 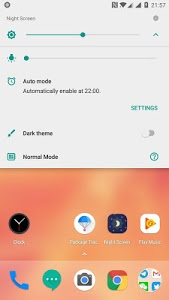 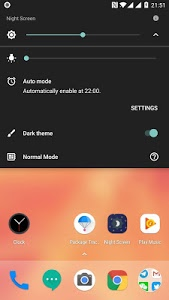 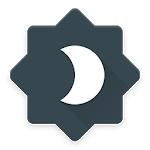 「Night Screen」is a Material Design Application which can protect your eyes from being hurt by screen, creating a mask at the top of screen in order to make screen darker. 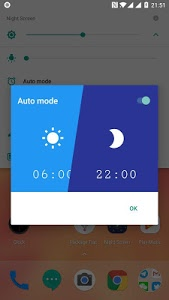 We can solve the problem that the lowest brightness is not low enough in some devices. Otherwise, this application is open source under GNU GPL v3 License.